Treat yourself or a friend to one of our exciting experiences! No matter the experience you choose, the Elite Falconry team will make sure that you enjoy every second of it. We provide full day experiences in the Highlands of Scotland through to half day and even one hour experiences from our central Fife location. 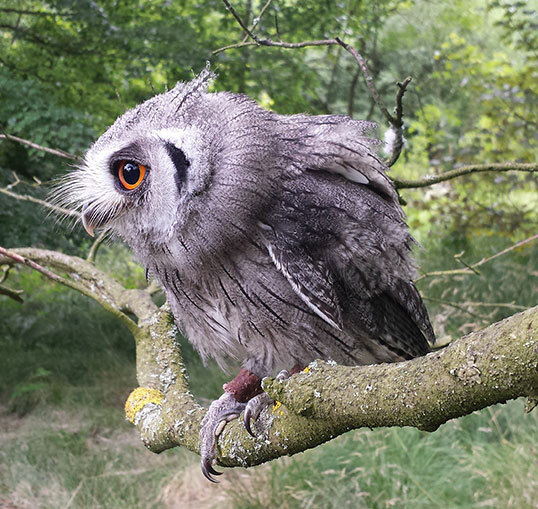 When you purchase a birds of prey experience day voucher (whether it be on the website, telephone, or in person), you will receive a voucher for the product (like the one pictured). It will carry all the basic details of the type of experience you have purchased, any message you have asked to be added if it is for a gift, and most importantly, a voucher number. The voucher will be accompanied by a letter which goes into much more detail about the day, plus important details about suggested clothing, how to book the experience and other relevant information. The vouchers are valid for 10 months from the date of purchase. When you, or the recipient of the gift voucher contacts us to schedule the day, they must have the voucher number. Without it, we can’t schedule a date. We also suggest that you book in as far in advance of your preferred date as possible – dates do get booked out a considerable time in advance. You can not schedule your day online. The voucher recipient must contact us directly to book a date. You do not have to book a date at the time of purchase, although if you contact us at the time of purchase, we can reserve a date for you. It is very important to remember that we do not break any rules or laws about game seasons, and we do honour our moral responsibility to avoid hunting young or pregnant animals. We therefore only operate hunting days between October 1st and February 28th / 29th, and during some periods, access to certain game species is forbidden. No hunting days will be operated between March 1st and September 30th. Below we have listed all of our experiences and if you have any questions about a package or about our other services then please contact us at info@elitefalconry.com or call us on Tel:01592 722143. Ideal for those who have a curiosity about raptors, and would like to enjoy the thrill and experience of handling and flying birds of prey. You will start by flying one of the delightful Owls. Then you will take an easy walk out over the steading with a Hawk that’s flying free, but working with and from you. You will fly the birds (under supervision of course) and have your first taste of the ancient art that is falconry – the partnership between man and a top aerial predator. The Half Day Experience is an enhanced version of the ever-popular One Hour Experience. 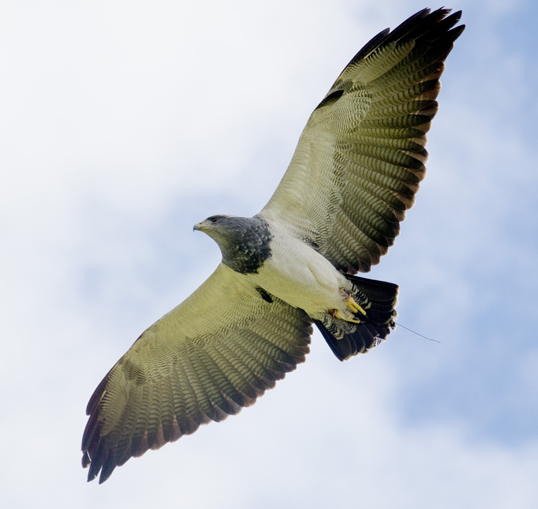 After extended flights with the Owl and Hawk you will take a short Land Rover drive to the end of the steading where we will have the space to give you a close encounter with a Falcon, Kite or Caracara according to weather. Finally you will fly one of the more friendly eagles. If the weather is right the eagle will make tremendous height on thermals or rising air currents. When in the right place and at height, the signal is given and the bird will stoop in at great speed to land (gently) on your gloved hand. 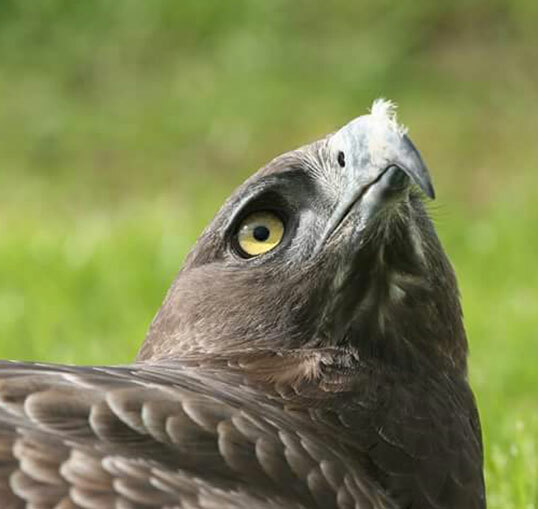 Throughout your falconry experience you will be taught about the birds’ behaviour and how each different bird carves a living in its natural home. If you desire the all encompassing full day experience, but have no desire to go hunting, the full day can be taken as a non-hunting day out. Removing the logistics of a hunting day allows us more time to fly more species of birds with you. You’ll fly all the birds we have time to including owls, hawks, falcons, kites, vultures and of course wonderful eagles. We also strive to include a bird which is still in training, to give you some background knowledge of the development that goes into the birds you are flying. Once you have purchased your experience, you will receive a package (sent via Royal mail ) containing your voucher along with instructions on how to schedule your experience with us. You can bring along a friend to share your experience provided you have purchased a “non-participating guest” voucher which is also available to purchase online. This is the most comprehensive introduction day to the art of falconry. You will be enthralled as the birds get the chance to show what millions of years of evolution has shaped them to do. 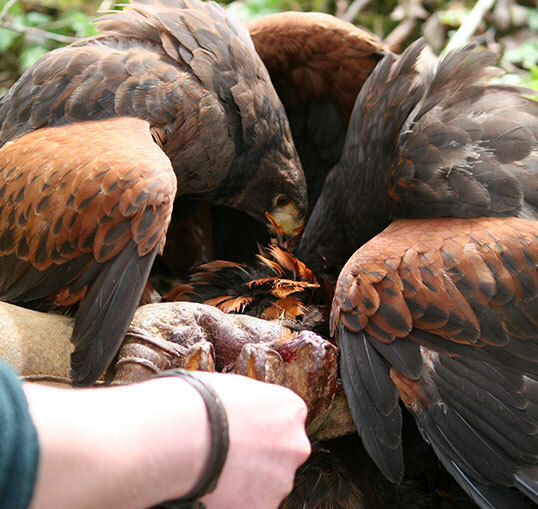 After being fitted with a glove and having had your safety briefing you will handle one of our team of hunting hawks. After your early two course hot lunch, we head in the 4 X 4 vehicles to the hunting grounds. Using various methods to flush a variety of game, the falconers will attempt to show you the birds using 100% of their instinct, experience and skill to catch their prey as they would in the wild. Possibly the highlight of your day will be the last half hour or so as we set up a short flight with one of the eagles. Very different to the flight and strategy of the hawks, with truly unbelievable power and grace ….. you’ll have to come along and see it to believe it, and we KNOW YOU WILL NEVER FORGET IT! 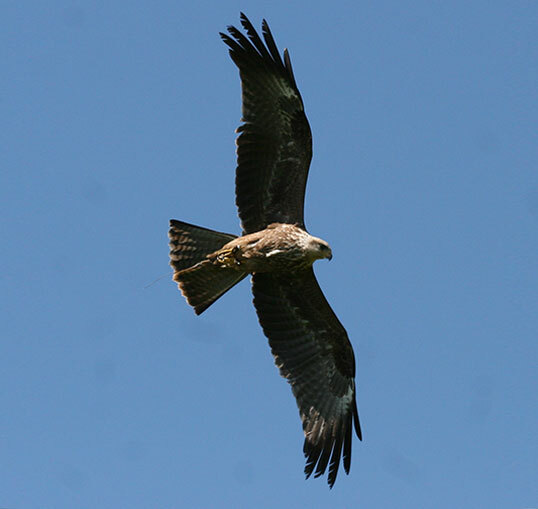 In the Grampian Mountains of Glenshee in the heart of winter we fly our eagles like Golden, Verreaux and Tawny eagles, plus Black Chested Buzzard Eagles (Geranoaetus melanoleucus). We look for windward facing hill in a good strong wind. We release the eagle, and she’ll make her pitch (height). This can be several thousands of feet up. 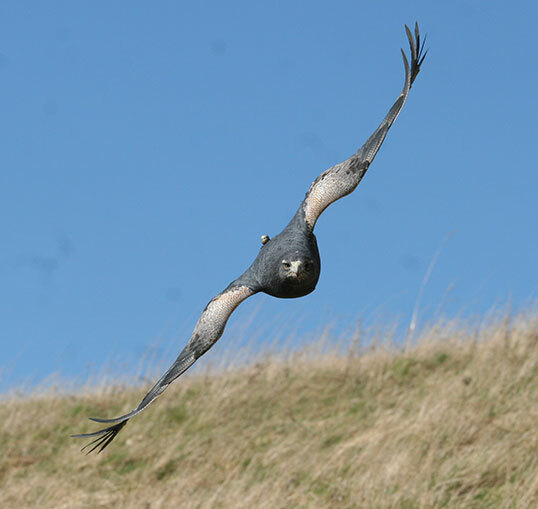 We then work the ground below in a bid to flush game for the eagle to hunt in fully natural style. When it all comes together, the spectacle is breathtaking. Probably the most awesome natural sight available. 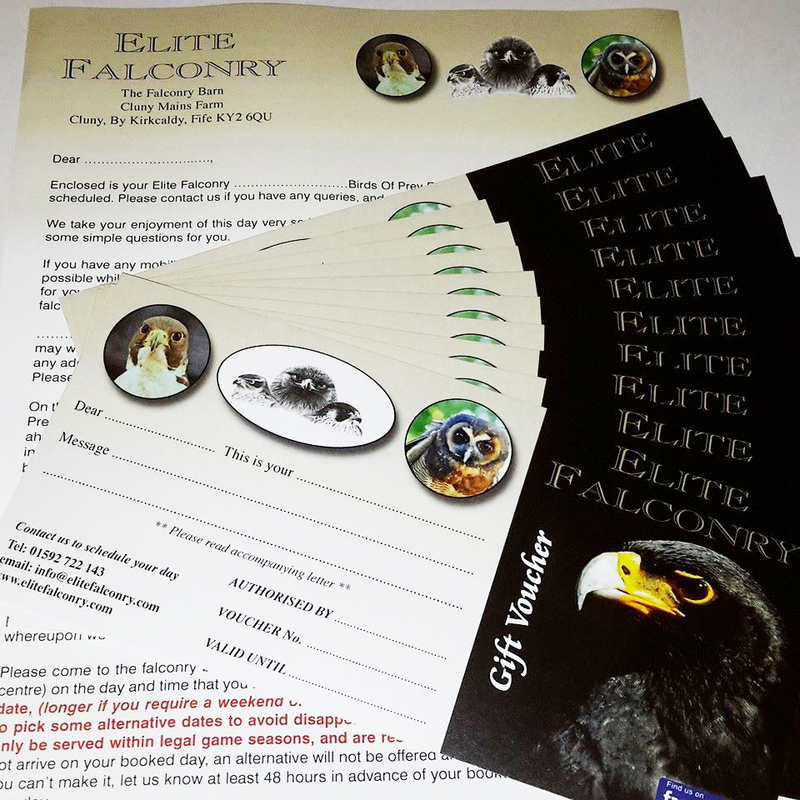 As mentioned elsewhere on this website, we at Elite Falconry try very hard to retain the traditions and ethos of falconry, while at the same time embracing new practices, advancements in husbandry, animal welfare and veterinary skills etc. We also like to encompass technological advancement as it is developed. Going back to the 1980’s and 90’s, this saw the utilisation of new, then improving telemetry – tracking equipment allowing us to further secure our birds against the risk of permanent loss while out flying. This embracing and enjoyment of new technology continues to move us to new things, pushing us to develop new ways to utilise technology in a way that enhances our, and your, enjoyment and understanding of what our birds do. Currently we have two parts to our upgrades for the half day experience, full day experience, full day hunting, and specialist eagles day. Firstly, we can fit an eagle on any of those days, with a full HD, on board, back pack mounted video camera. We have used this equipment, developed here at Elite Falconry, on national TV shows like The One Show and BBC TV’s groundbreaking Winterwatch shows. 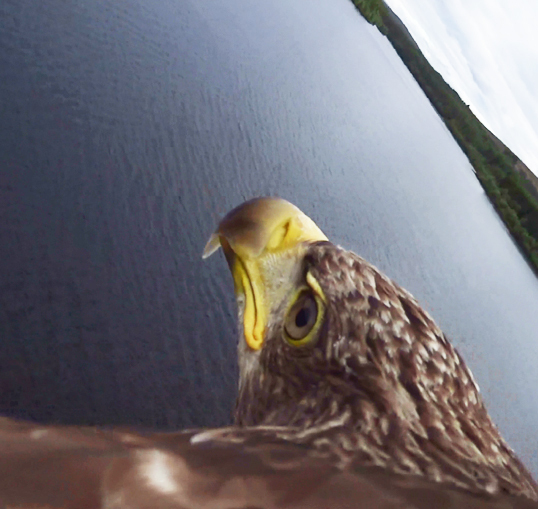 In superb full HD quality, the eagle will record his or her view of the location we are flying from their point of view. That will include you on the ground, and the view as seen by the bird as it returns to your gloved fist. The footage can be reviewed on the day of your experience, and once edited, will be made available for you to keep. The 2nd upgrade option is a great one for those lovers of data, statistics and technology. Our birds can now carry tiny transmitters that relay live, real time data on how high it is relative to us on the ground, how fast it is flying or stooping, or even how fast it is climbing on the wind or a thermal. With the speed and altitude data in hand, you can even calculate the G forces experienced when the bird throws the brakes on! More than this, the data is sent to a hand held tablet device, which is pre loaded with a Google earth map of the land we are flying over. The data is over laid onto the map with a constant trace of its flight path left on the map. As it flies over a rock or wood, you see the wood or rock on the map and the trace of the bird as it passes. It is spectacular technology and offers an insight into what is going on in a birds life in the air, the likes of which that have never been possible before.